Have you been facing a transmission problem for quite some time now? 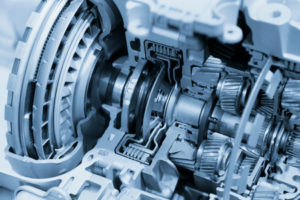 Are you unsure about the extent of the problem with your transmission and looking for a transmission repair service in Wilton Manors, Florida? Then, you are at an ideal place! We are a local, family owned and operated transmission repair company who offers you the top-notch auto repair service and 24/7 customer care that you deserve. We are a full-service auto repair and preventive maintenance business in Wilton Manors. You’re your vehicle to us and enjoy the peace of mind that comes from knowing that your vehicle is in hands of expert and ASE certified technicians who specialize in transmission repair and service. For the convenience of our customers, our repair shop offers a wide range of services. Each of our automotive technicians is highly qualified, skilled and ready to deliver their expert automotive repair knowledge in a time efficient manner. Another reason to get your auto repair service done by our expert technicians is that it can save you a lot of money and time. A mechanic with having no prior experience and no industry knowledge cannot diagnose your vehicle’s issues correctly and you might end up wasting a good amount of money. 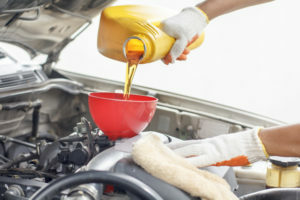 He may also tell you that you need a new transmission when in reality, it only needs a simple repair such as a cable, a fuse, a relay, or a loose electrical connection. In some cases, it could even be an external sensor that needs proper fitting or adjusting. Save yourself a lot of unnecessary cost, time and hassle by getting a professional help from our dealership in Cooper City, Florida. We provide correct diagnosis right from the start, along with competitive prices, an experienced and highly trained staff. If you need a transmission repair shop, look no further! We are here to assist you and look forward to adding you to our long queue of happy and satisfied customers! Backed by years of experience, we are automatic and manual transmission experts in Wilton Manors, Florida. We offer plenty of transmission repair and maintenance services including flush, fuse, relay and filter service. We are licensed and insured for your peace of mind and security in case of any loss. We take pride ourselves in a fact that we have all the experience, knowledge and qualification to repair and service all domestic and imported cars, trucks, and SUV’s using parts that meet the standards of those parts originally used by the manufacturers. All our transmission repair services are definitely cost-effective that rightly fits your budget. Our expert technicians can get the job done efficiently on your auto right the first time. So take your car, SUV, or truck to us today and allow us to provide you with quality services your vehicle requires. We thoroughly diagnose your transmission issue and then create an effective plan for repair. We also check the level and condition of your transmission fluid, transfer case, and differential fluid. Once this initial analysis is complete, we then inspect the external components of the transmission. We evaluate shift linkage or cable, harness connections, engine mounts, axles and shafts, ground connections, pan gasket, wire condition, vacuum connection, and fluid retention etc. Once this thorough external evaluation is complete, our technician will recommend the repairs your transmission needs. However, if initial findings do not help find the cause of your transmission problems, we will use our state-of-the-art diagnostic technology and equipment to figure out the problem.